A few weeks ago, we posted Part 1 of our series on how The Arena App works with the Zen to Done (Babauta, 2011) method, covering the first tenants. This week, we’re taking a look at the remaining ones, and how you can use Arena to help keep you on task following Zen to Done. Keep reading for the other steps in ZTD, and how to best utilize The Arena App with them to help you have a better day! Arena is structured to help you focus on today and tomorrow, so that you are only working on what is important in the moment. However, if your work week flows more smoothly when set before it even begins, Arena can help with that too. You will start by adding all of your big projects for the week into the Unscheduled screen. From there, you can move what you will be doing on Monday into the Today screen, and what you plan to work on for Tuesday will go into the Tomorrow screen. As the week progresses, all you will have to do is make sure you are pulling your tasks from Unscheduled into the correct days. 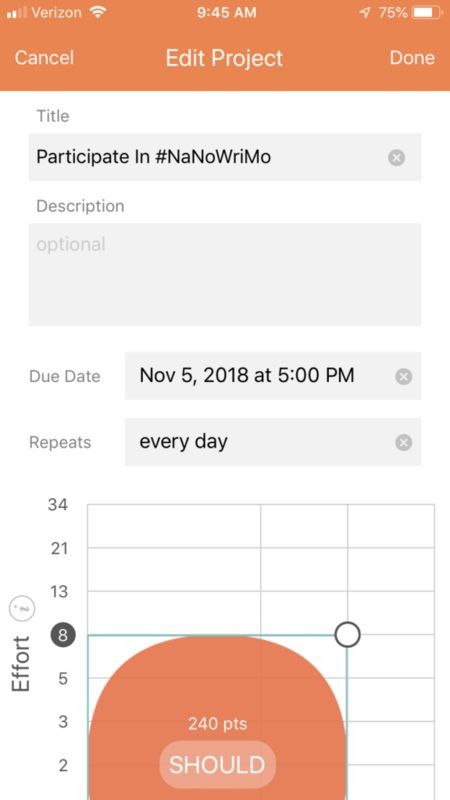 The Arena App includes an option to see both your Accomplishments and your Insights, which track your most productive days and weeks in Arena. 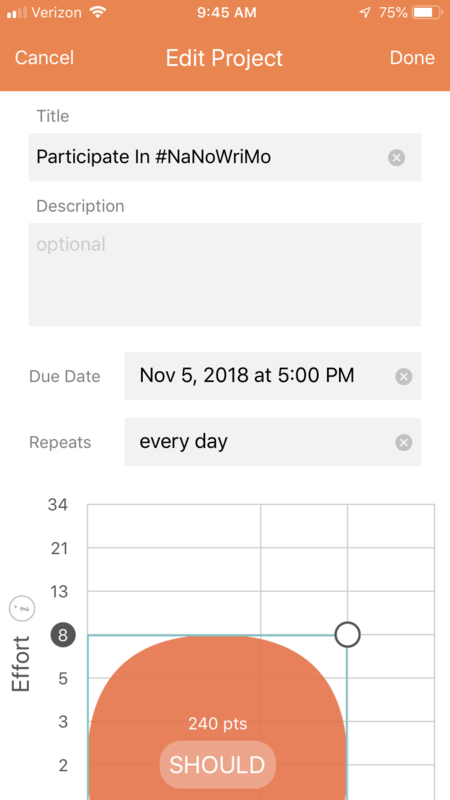 The Accomplishments view includes a bar graph so you can visually track your progress, and have a better sense of what your weeks look like overall. The Insights page includes your completion and productivity scores, both in overall averages and in highest singular days. If you find yourself with several projects left in the Unscheduled section, you may want to go back and evaluate if anything can be delegated, deferred, or deleted. This step is fairly easy to do in Arena. For each project you enter, start it with a verb, and only use a few words in the title. If you need more information about it, add the details into the note section of the project. 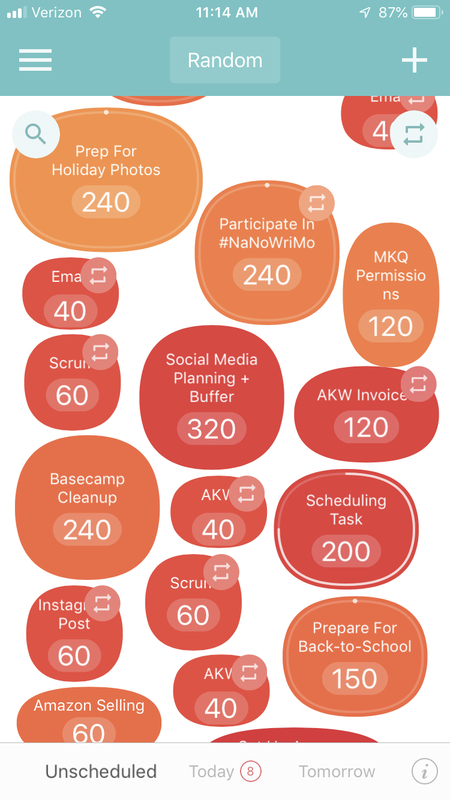 For the more complex tasks, it might help to create a custom-built checklist to keep track of where you are in the project. Breaking your large project into smaller, more manageable tasks gives you a better starting/stopping point if you ever need to set the project aside for a bit to come back to at a later time. The Arena App can help you develop better routines for completing your day. Choosing your biggest projects based on impact and effort will allow you to prioritize the most important things first, leaving the time you have left to tackle the smaller things. Doing this daily (or even every few days) will help build your routine of focusing on the most important things first, and feeling at peace with what you did and didn’t accomplish for the day. Arena also allows you to choose if a task is repeating (and how often) so that you don’t have to enter it over and over again. Arena might not be able to help with this final step in the same way that it can the others. However, it might be able to help you realize that your current work is not your passion. If you find yourself procrastinating more and more on your project – even with the help of Zen to Done or The Arena App – that may be a good sign that you are not where you want to be. If your Arena analytics and insights are starting to slip, that might be a good time to take a look at your job, and see if A) things are slipping because you are lacking the support you need, or B) things are slipping because you don’t want to do them. If it’s the latter, it may be time to re-evaluate. These are just a few ways that The Arena App can work with the Zen to Done method. Each user will have to tailor the steps to best fit their work style, but it can be easily done in Arena. Part 1 can be found here, and if you want to learn more about how The Arena App can help you win the day, find us on social media (@thearenaapp) and in The App Store and see how it can help you have a better day, every day.